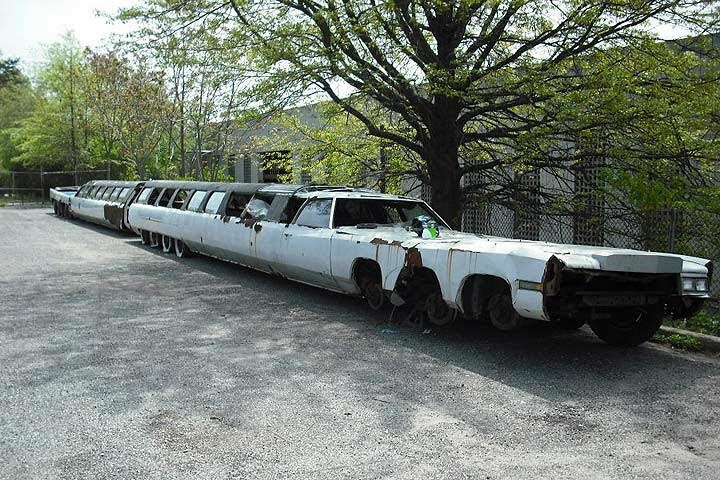 STUDENTS at an automotive college in America's New York State have set themselves a massive task – they're rebuilding the world's longest car, a Cadillac-badged monster that's a whopping 100 feet, or just over 30 metres long. 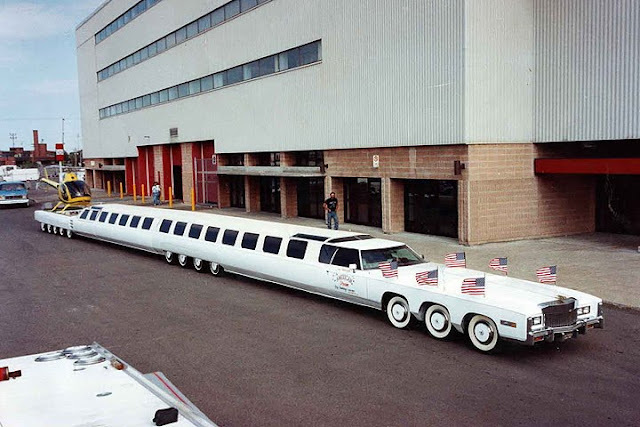 The flamboyant auto was built in Burbank, California in the late 1980s by car buff Jay Ohrberg, who is both a collector and a specialist-vehicle builder for local movie and TV studios. Basically a super-stretched 1970s Cadillac Eldorado and named American Dream, the monstrous 26-wheeler (with those wheels not only in front and back, but centre as well) had a special swivel in the middle so it could navigate around corners, and be taken apart for transporting on a low-loader to filming sites. And on the road it needed specialist drivers both at the front and the rear. Luxuries included a "living room" with a lounge and multiple-seat dining table with candelabra, a king-size bed, heated Jacuzzi tub, and an extended boot with splash pool and diving board covered by a folding landing pad for its own helicopter. When Hollywood eventually lost interest in the American Dream it was simply abandoned in an open carpark and slowly stripped; in 2012 the New York Autoseum automotive teaching museum in the village of Mineola bought the forlorn-looking wreck at auction, and today it is being slowly rebuilt as a teaching project for students. And that project, staff say, could take years.